Across all cultures and traditions, festivals have been a way for people to come together and celebrate. Often based around a belief system, they are also a time of learning and honoring accomplishments. Festivals at Sat Manav Yoga Ashram celebrate and honor Yogi life. We invite one and all to “test the waters” and investigate Yoga, the ashram and our 12 Principles of Yoga teaching series by attending a festival. 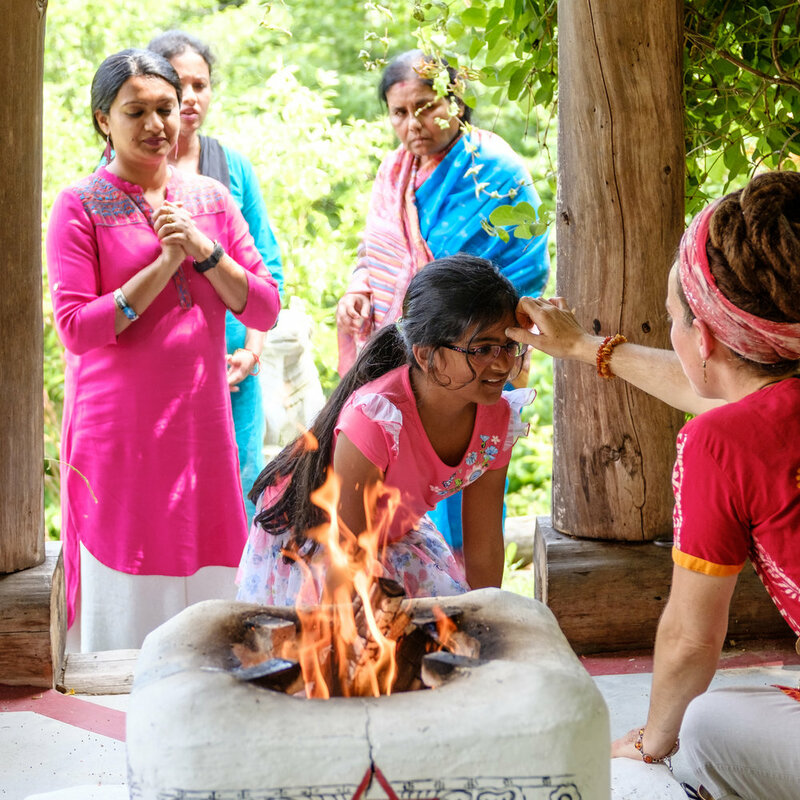 You can experience the sacredness of our ceremonies and immerse yourself in the vast philosophy of traditional Yoga. Our Festivals are entirely supported by full-time practitioners who follow the traditional path of Yoga, living and studying with our Gurus Sri Bhagavan VaShi Baba and Sri Mirabai Ishwari. For us, Yoga is not a mere discipline, but cause for festivity. Life is our most precious possession. Yoga gives us the means and the method to reach our greatest desire and potential in Life: to experience and emanate fulfillment, benefiting all beings. There is no greater cause for celebration! Each festival introduces the 12 Principles of Yoga as outlined by our Gurus, current holders of the VaShi Yoga lineage, Yoga's oldest unbroken lineage. Whether you have been studying Yoga for years or just exploring, this day will deepen your understanding and enhance your life. As an introduction into a Principle and Yogic living as a whole, the day is full of teachings, clarifying examples, potent exercises, and practical application. Check out the festival dates available. Each festival is hosted at our secluded Yogic mountain retreat with shrines, temples and rushing streams, where you are surrounded by tranquil emanations. With insightful teachings, inspiring ceremonies, incredible live kirtan (sacred music) featuring Shiva Lila, and delicious vegan fare, among seekers who have chosen Yoga as a way of life, our festivals are an unforgettable event. Check the complete schedule and also the dates of our Festivals. Attendance at our festivals is based on donations. The suggested festival donation is $90 per person for the day or $45 for a half-day. Click the link below to donate and register! Overnight accommodations are available! Contact us for more information! Click here to find out more about the 12 Principles of Sat Manav Yoga. If you are interested in a more immersive experience, see our retreat page and check out calendar of events. Yoga is our Life. Come celebrate with us! See you soon!